Note: Shipping is Free in the Contiguous US 48 States on this Statue. Shipping will be Added on for Everywhere Else. 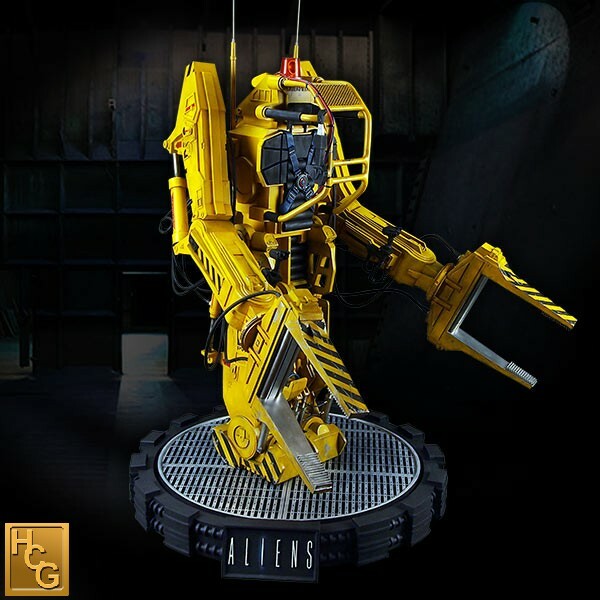 Hollywood Collectibles Group Aliens Power Loader Studio Scale Statue. Sculpted by Alterton. Paint by Jason Eaton. 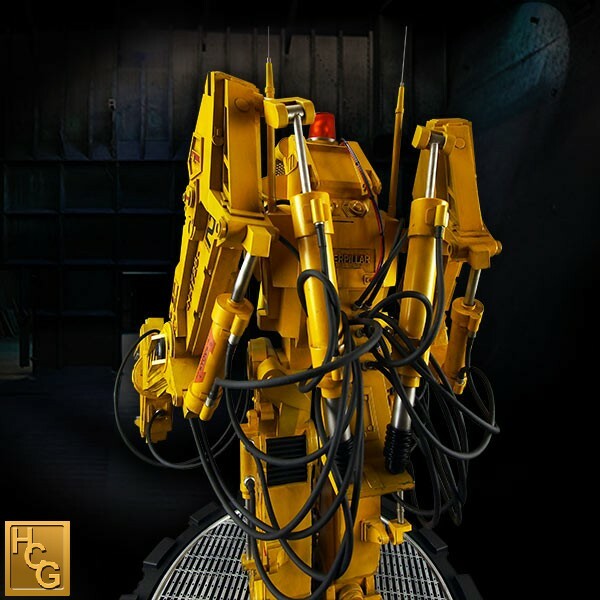 The Caterpillar P-5000 Powered Work Loader, commonly referred to as a Power Loader, is a commercial mechanized anthropomorphic Exoskeleton used for lifting heavy materials and objects. More importantly it was also used by Ripley to defeat the Alien Queen. Presented for the first time ever as a Studio Scale model - exactly the same size as the model used in filming the movie. 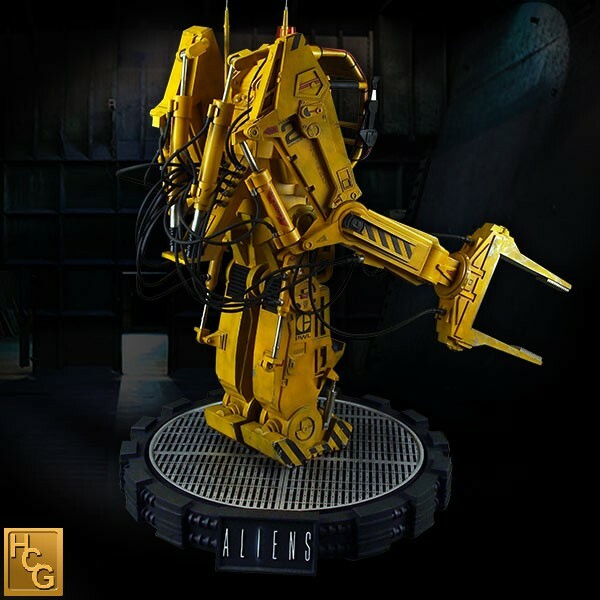 Standing an imposing 33 Inches Tall and 25 Inches Wide this truly is an Epic Scale Model. 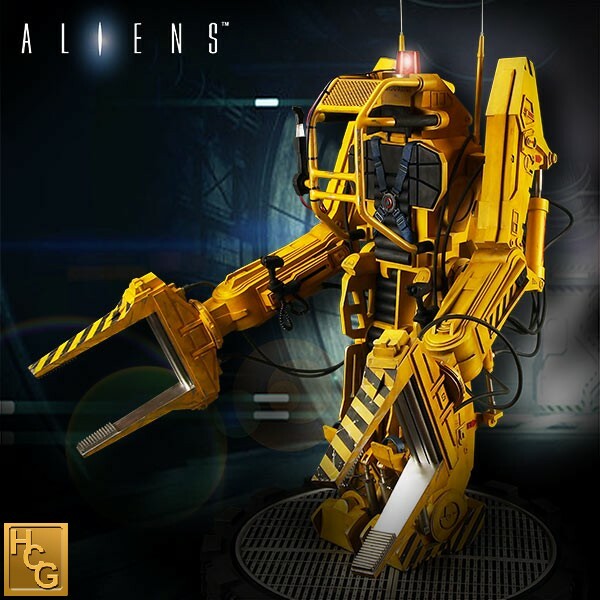 The Centerpiece of anyone’s Aliens collection. 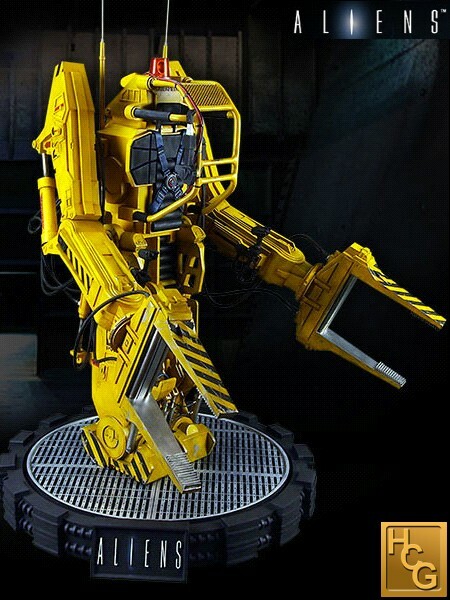 The Center of the Base is a Turntable which allows the Power Loader to Rotate and be Displayed at any Desired Angle. The Statue Stands Approximately 33 Inches Tall Including the Base. This Statue is Packed in 3 x Shipping Boxes.